Be Aware of Scammers and False Advertisers! We are aware that there are many scammers, poachers, and false advertisers regularly sending e-mails to IAFE members. These emails may claim to have a database of attendees, a database or directory of fairs and events listings, or even a claim to offer discounted hotel rooms at upcoming IAFE events. Do not take the bait! Any offers such as these do not come from this office. Please be especially aware of any promoting hotel rooms for the Convention. We have secured great hotels with discounted rates and only those on the Convention website listing are authorized and will have access for free shuttle service during the Convention. Only IAFE members with valid credentials and paid membership have access to the on-line database of members (organizations and a great tool for searching for individuals) and our printed directory. All e-mail communications from us, including the authorized promotion of services or products from our valued IAFE Associate members will come from an IAFE e-mail address known to you. IAFE President and CEO Marla Calico recently had an opportunity to be a Champion of Change by addressing Washington state's House Rural Development, Agriculture & Natural Resources Committee. Click here to see her discuss the impact county and agricultural fairs have on their communities. The IAFE Education Foundation is a 501(c)3 organization established in 2002 to support, through fund raising, the educational, charitable, research, or literacy activities in the advancement and improvement of agriculture fairs, expositions, and shows. You can help support the IAFE Education Foundation, by clicking here. Have you seen the resources available to IAFE members in the IAFE Online Library? 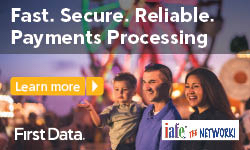 Whether you're looking for information regarding outdoor event safety or the results of the latest survey regarding compensation for fair leaders and staff, you can find it all in the IAFE Online Library. The latest on the Igniter Discussion Forum! 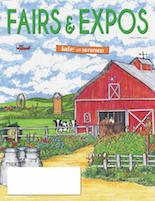 Has Your Fair Entered Into an IAFE Contest? Our Mission: To lead in representing and facilitating the evolving interests of agricultural fairs, exhibitions and show associations. Copyright The International Association of Fairs and Expositions. All rights reserved. Missouri 65802, USA Have questions or comments?